The recipe will make a small loaf. • 2 medium / 1 large eating apple. Peeled, cored and roughly grated. (You can add a splash of lemon juice to stop the apple discolouring while you're mixing the bread). In a high-sided bowl or jug, mix the milk, eggs, vanilla essence, sweeteners, honey and peanut butter. Blitz with a hand blender or transfer to a food processor and mix until smooth. 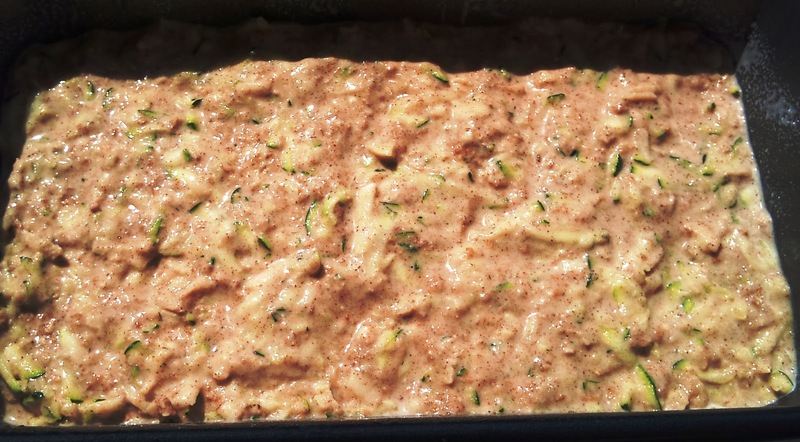 Preheat the oven to 210°C and spray the loaf tin with the spray oil. Next sift the flours, salt, baking powder, baking soda, cinnamon and nutmeg into a large bowl. Add the husks from the wholemeal flour and the chopped nuts to the bowl also and make a well in the centre. 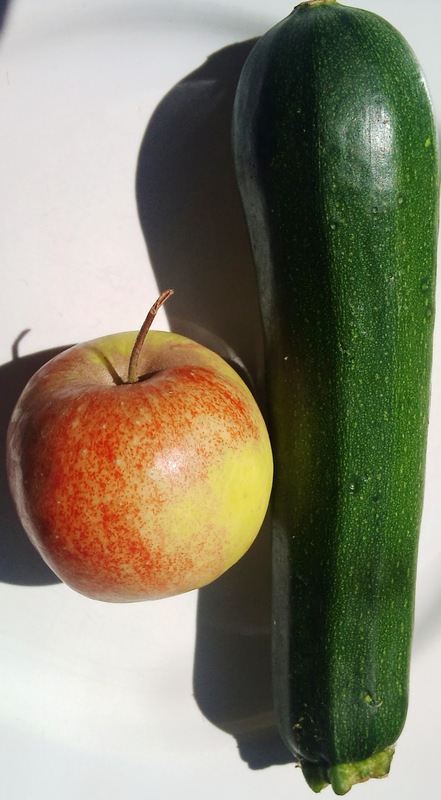 Next grate the courgette and apple and keep to one side. Next, add about half the egg mixture to the flour and stir to combine with a wooden spoon or spatula. Add the remaining mixture and stir again until all the flour has fully mixed in. 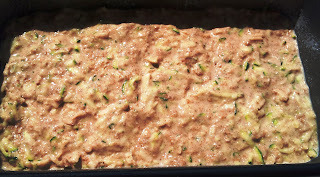 Next fold in the courgette and apple and stir lightly again to combine. Transfer to the prepared loaf tin and shake gently to make sure it spreads evenly, filling the tin. Bake in the centre of the oven for 15 minutes, then reduce the heat to 180°C and continue to bake for a further 35 minutes until golden brown. 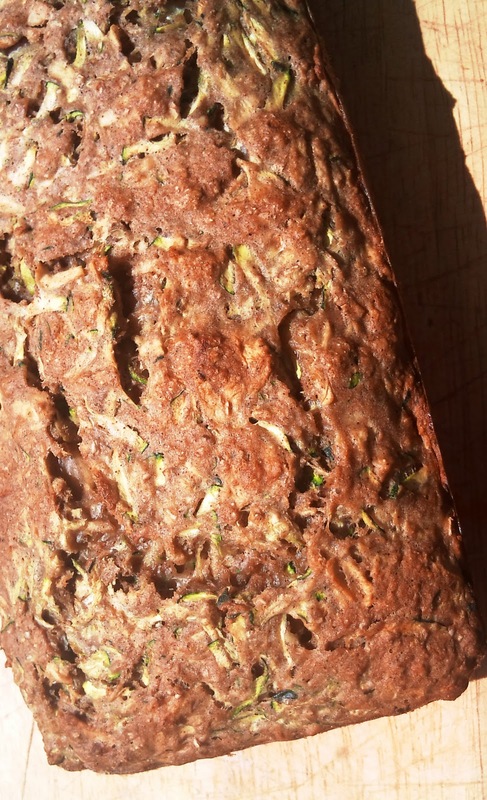 If the top is browning too much, you can cover the loaf with tin foil as it bakes. Carefully remove from the oven and allow to cool on a wire rack. To double check if the loaf is fully cooked, you can pierce it with a skewer or cocktail stick. The bread is ready if the skewer emerges clean and contains no residue. The bread should also sound hollow when you tap it. Store in an airtight container or biscuit tin.